Myth #1: #whiteboxes are more complex. In fact, with a single point of contact (integrator), they can be relatively simple. Not really a myth, a #whitebox can be very simple, but if you don't understand the OS, it's a new process just like changing vendors from C to J or B, etc. How to educate the customer so they understand the simplicity? @afewell well a bright box has a OS with good documentation and the ability to get training. @sonoble exectly, bright box aka @Dell is another way to think about them being a system integrator and picking up customer mind share -- all good! Yes I guess I should have invented. Too slow. Steven Noble can you elaborate? Do you think Cisco will try to hijack the open #SDN efforts? Does this mean there will be a single management interface - much like Cisco UCS to manage all your switches from a single management interace? great question @newcoit - platform needs that functionality. Where is HP OpenView for #SDN !? hey @rayno can we move @newcoit question on the single management interface and vision up to the top in a future question? we get this question all the time - we mom and pop shops, we see small ISPs and hosting shops. If you want to save $$ and leverage traditional CLI, you can use a #whitebox today and the only risk you take, it trying it. Love the idea of a small ISP using this stuff. Do you have any examples you can cite? @pica8 I should put aside some time and set one up in my lab to play with. Agree with @afewell ... Dell could do a lot toward mainstream adoption of white boxes. @afewell indeed #ONL is key. All the @OCP initiatives take us to a true plug and play model. Another Myth: Hardware performance. Are #whiteboxes inferior to proprietary solutions or can they beat them? answer with security in mind. if a #whitebox can fall over it becomes a security threat. That is a difficult one, I would say it would be more difficult to reach the same level of performance with general hardware. this is a good question and since even Cisco uses Broadcom's ASICs in Top of Rack switches, there is consensus that merchant Silicon provides good value and performance. @pica8 I am thinking that hardware specific to routing a switching is made for that, more general purpose computing hardware might not be up to more intense tasks. That's right it's all in the software. Security + cloud is a good point, Scott. cf. Illumio: the infrastrutcure no longer factors into the security question. As we rethink security, the security of a white box could be a non-issue. 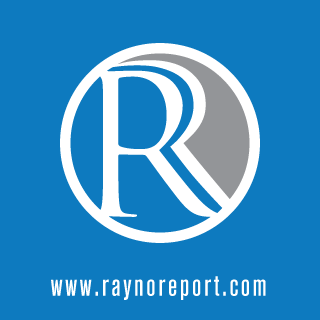 But on a serious note, the bad guys are in "out there" in the cloud, so the security needs to be "out there"
The @raynoreport is coming out with a comprehensive #cloudsecurity report in one month. 35 companies.